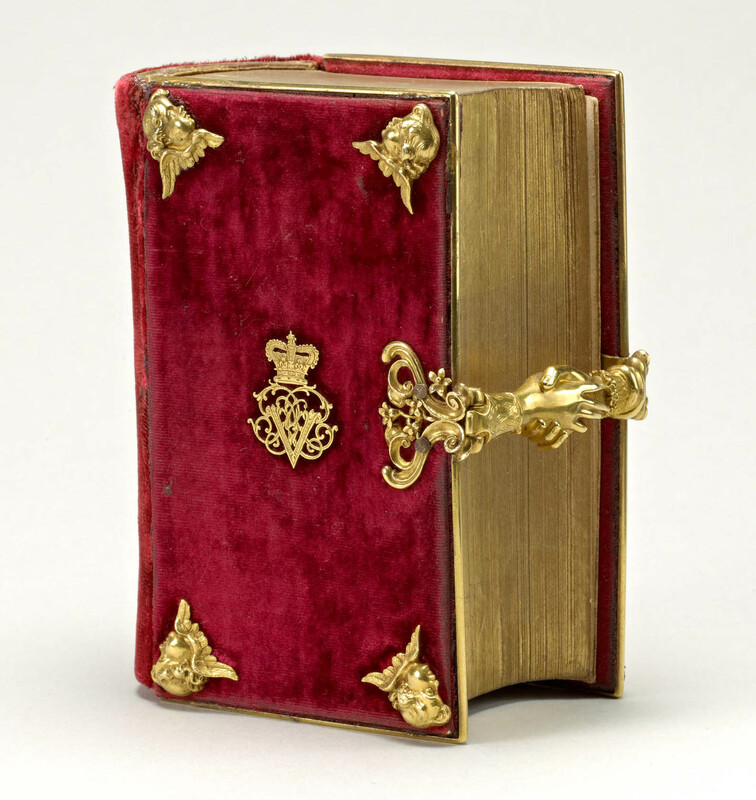 This Book of Common Prayer was given to Victoria on her wedding day by her mother the Duchess of Kent, and was the companion volume to the green velvet prayerbook bestowed upon Prince Albert by his future mother-in-law. It is inscribed 'Given To my beloved Victoria on her Wedding Day by Her most affectionate Mother'. The binding was decorated with Victoria's monogram on the front board, and on the back a metal cartouche containing the date of their marriage, 10 February 1840. The gold bookmark on silk ribbons is set with eight semi-precious stones, the first letters of which spell VICTORIA: Vermeil; Jargoon (the letter j was often used as an i); Chrysolite; Turquoise; Opal; Ruby; Jargoon; Amethyst. Sign up to e-mail updates for the latest news, exclusive events and 15% off in our online shop. We will look after your data in accordance with our Privacy Notice. The income from your ticket contributes directly to The Royal Collection Trust, a registered charity. The aims of The Royal Collection Trust are the care and conservation of the Royal Collection, and the promotion of access and enjoyment through exhibitions, publications, loans and educational activities.